I wanted to follow up my post about being newly alcohol-free with a few thoughts about how it feels, and the social, physical and mental changes I’ve observed. Today is day 66 for me – I’m heading towards my 10-week anniversary in a few days. Clarity. I’ve already described how it feels in your head to go alcohol-free – like moving from a pixellated phone screen to hi-definition. Especially in the first few weeks. It may just be the crystalline spring light all around me, but the world literally feels lighter and brighter. Many recovering people report an improvement in eyesight which may well be due to rehydration. Whatever it is, it’s a wonderful sensation. I feel like I’ve had a factory reset. Positivity. I used to feel as though I was dragging myself through the world, meeting challenge after challenge, obstruction after obstruction. Now I find I can meet the world head on, whatever it throws at me. I can see the positives and the opportunities, whereas my former self would feel sorry for herself. My former self would cry a lot when she drank too much. That’s all gone. Now I only feel like crying during yoga – but only because of the emotion it releases. Sleep. I used to say that I was an insomniac. For some weird reason I always woke up at 3am and stayed awake for a couple of hours. I blamed age, I blamed stress, I blamed my low-carb diet. Even though those things played their part, the biggest culprit was alcohol. I knew that regaining blissful sleep was one of the key outcomes of giving up drinking but it took 45 days for it to kick in for me. If you’ve been drinking for about 27 years, and not even every day, it takes a while for your body to readjust to its factory settings. Social life. I socialise more. You think that your social life will disappear if you stop drinking, but the exact opposite happens. You can go out for multiple nights in a row because you don’t have to build in recovery time. You don’t have to arrange your nights out around what you are doing the night before. Suddenly Monday night becomes a social prospect. Friendships. I feel much more engaged with my friends when I’m with them. I feel less selfish in conversations. There is something about alcohol that made me more self-centred and I’m very glad to see the back of that. I can concentrate on the things my friends are telling me and ask them about them the next time I see them, rather than casting about for a memory of what they may have told me the last time I saw them. It’s more about them than me and that feels good. Self-respect. I’ve stopped doing bad things that make me anxious the next day. No more drunk texts, ill-advised encounters, minor injuries, lost memories, inappropriate social-media posts or arguments with friends. No more ‘Lisa likes a drink’ comments or presents involving prosecco. I have my self-respect back. Back to my youth. I do feel like I’ve had a factory reset to the age I was before I started drinking in earnest (around 25). My brain is sharper, my head clearer, but I am also slimmer, fitter and for some strange reason, my hair has thickened and feels bouncier. Apparently that’s also an unexpected bonus side-effect. I have spent way more time in the yoga studio which has taken me back to a level of fitness I was at when I was studying contemporary dance every day, but also back to a time when my head was less addled with anxiety. Sugary sweet. Another unexpected outcome is a massive craving for sugar, which I’m told will subside. But for now, Cadbury’s Mini Eggs are my nectar. The advice is to be nice to yourself and get yourself through these weeks and months in whatever way you can. 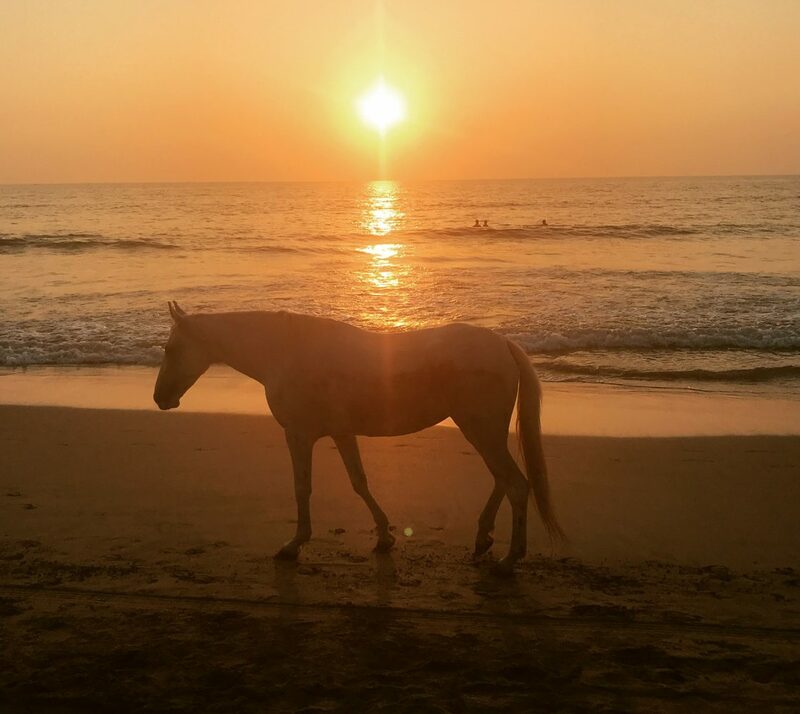 So my first move is a return to Goa – the place I said I’d never return to. My therapist asked me why I was giving myself that rule, why I wouldn’t want to return to a place that feels like home, with friends and animals I love, yoga and a place to write my book. As always, she was right.